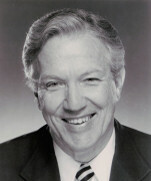 S T Kimbrough, Jr., is the author and editor of many books including: Psalms for Praise and Worship (Abingdon Press), A Heart to Praise My God (Abingdon Press), Lost in Wonder (Upper Room Books), Charles Wesley: Poet and Theologian (Kingswood/Abingdon Press), Methodism in Russia and the Baltic States: History and Renewal (Abingdon Press), Sister Anna Eklund: A Methodist Saint in Russia (GBGM Books), Resistless Love: Christian Witness in the New Millennium (GBGM Books), Orthodox and Wesleyan Spirituality (St. Vladimir’s Seminary Press), Orthodox and Wesleyan Scriptural Understanding and Practice (St. Vladimir’s Seminary Press). Kimbrough is also an internationally known musician, hymnographer, and recording artist, and editor of numerous books of global song including: Global Praise 1, Global Praise 2, and Global Praise 3. Books by S T Kimbrough, Jr.